Responding to growing demands for greater flexibility for shorter-run, multi-version beverage packaging, Tonejet, the only manufacturer of advanced electro-static drop-on-demand digital print engines, will put the spotlight on digital printing direct to the can at InPrint in Munich (14-16th November). Tonejet’s direct-to-can digital printer - Cyclone - with inbuilt Rockwell iTRAK transport system has been designed to remove the barriers associated with small batch canning and includes features and capabilities adapted to the requirements of today’s print environment – a unique approach to beverage can production. 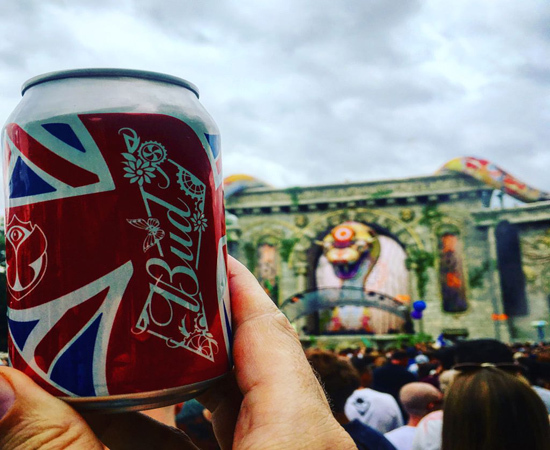 Using Tonejet direct-to-can printing capabilities, AB InBev created 10,000 customised cans for Tomorrowland (20-23rd and 28-30th July), the world’s biggest electronic dance music festival, bringing together some 400,000 visitors from around 200 countries. Tonejet, working together with AB InBev, printed 15 different can designs featuring national flags across just 10,000 units. The cans were produced in the exact quantities required, without the minimum-order restrictions associated with traditional printing. The largest print run was 1400 cans, and the shortest was just 15 cans! Unlike analogue processes, the low cost of digital can production means that specially brewed and branded products can be produced cost effectively and quickly and every single can could be produced with a different image if required. Long lead times and minimum order requirements are eliminated, and as the system can print multiple jobs without stopping, product time-to-market is significantly decreased too. The cost per print is comparable to traditional can decorating processes and the digital offering means ‘one is the new minimum’. The Tonejet Cyclone, with integrated Rockwell Automation iTRAK transport system, will be on show throughout InPrint 2017 in hall A6 on stand 536, demonstrating the many advantages of direct to shape digital beverage can printing.